United Home Life Insurance Company and its parent company, United Farm Family Insurance Company, are family-oriented companies founded in 1948 and 1937, respectively. Both companies were founded with a philosophy of providing quality, personal service to its policyholders and agents. The company’s motto: “We are here to serve you“. United Home Life’s and United Farm Family Life’s primary focus is providing affordable, flexible life insurance solutions for its policyholders. The company’s ultimate pledge is to meet the financial obligation to the policyholders. 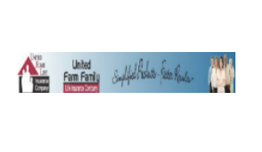 A.M. Best, a leading independent analyst of the insurance industry since 1899, has assigned the rating of A- (Excellent) to United Home Life and the rating of A (Excellent) to United Farm Family Life. The A- (Excellent) rating is the fourth highest of 16 ratings and the A (Excellent) rating is the third highest of 16 ratings.